Michael joined the WHO in 2011 as the project manager responsible for the design and implementation of the Global Surveillance and Monitoring system for substandard and falsified (SF) medical products. The following year he was appointed Group Lead for Substandard and falsified medical products within the Essential Medicines Department where he manages a team who receive reports, provide technical support, issue Global alerts and undertake secretariat duties for the Member State Mechanism for SF medical products. Prior to joining the WHO Michael was the head of enforcement for the Medicines and Healthcare products Regulatory Agency in the United Kingdom (2005-2011), and led a team of 45 investigators, inspectors, lawyers, and analysts. He had responsibility for the investigation of all major breaches of medicines regulation, through to criminal prosecution. He led the largest successful investigation and prosecution in Europe of falsified medicines entering hospitals and pharmacies. 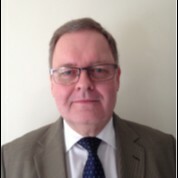 He is the author of the MHRA’s first Falsified medicines strategy and Enforcement strategy. Whilst with the MHRA Michael launched the illegal internet pharmacy campaign known as Operation Pangea, now coordinated by INTERPOL. From 1975-2005 Michael was a Police Officer in the UK, based in London but working Internationally, specialising in the investigation of organized crime. He attended the Police Staff College, Bramshill, both as a student and visiting lecturer to the Association of Chief Police Officers, and International Command Course. He retired in the rank of Detective Superintendent. Michael has worked in over 60 Countries worldwide.